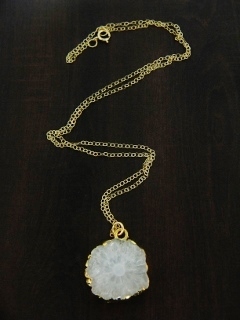 Mesmerizing bohemian white solar quartz suspended from a 18 inches of 14k gold-filled cable chain with spring clasp. 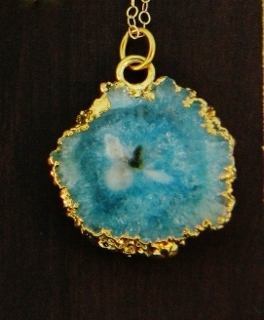 The pendant is freeform shaped (20-30mm) and the sides are gold plated. 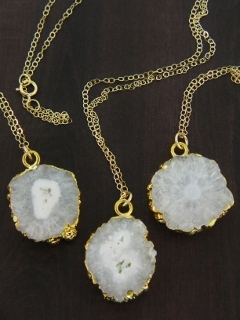 Each solar quartz necklace is absolutely unique due to the natural variation of the individual slice of quartz and the way it absorbs colour and reflects light. If you have a preference for the size, shape and depth of color of the stone please let us know when you checkout under the comment section and we will do our best to accommodate you. 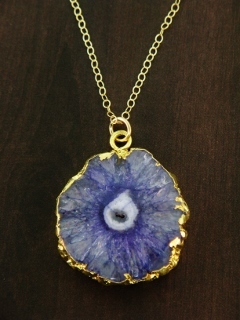 Otherwise we will select a random piece for you.